Usually, people perceive a bath as a purely practical subject. But if we work a little bit on its design, as it will become an original element of the interior, which will transform the entire space around itself. It would seem that a simple and common thing for everyone is a bath. Since the times when people were using it to wash in tubs with water, for this device, little has changed. But modern consumers lack practicality, and they want to surround themselves with unique and aesthetic things. Therefore, the tendency to create unusual or a typical baths is gaining momentum. 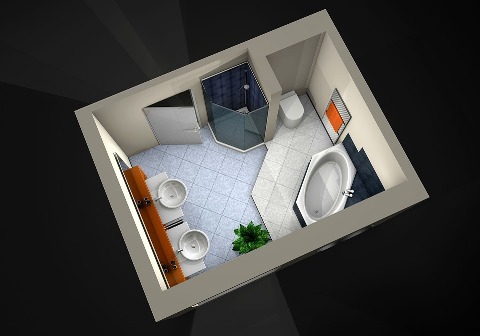 3D modeling of the bath allows you to develop any shape, size, and design. Shoes, ships, and chaise lounges inspire designers in Europe and Ukraine to create great baths. Some are successfully sold and become an ornament of the interior, while others remain in the form of beautiful pictures and prototypes, not finding their consumers. How widespread and popular the new model will be, depends on the idea and its practicality - whether it can be realized in the real world. Roughness gives the product a unique chic. Textured bath will undoubtedly become a highlight of the interior. Acrylic is great for non-standard solutions. This material easily takes on the basic shape, and the surface of the product can be processed to give the desired visual effect. Acrylic baths are relevant in any interior, as can be seen from the example of a bathroom visualization below. Practicality and elegance of the material allow you to create acrylic baths of any shape and size. And, as in piece copies under the order, and in industrial scales. In addition to acrylic, the favorites of the bath are created of natural stone, glass, and metal. These materials are more expensive, and their processing is more complicated, which affects the cost of finished products. Therefore, they are more often found in exhibition samples, and individual orders than in mass print run. The finished product can be with a glossy or matte coating, any color from the proposed palette. The unusual color scheme can completely change the perception of the bath and the room in which it is located. · Creation of a technical task for a 3D model. · Create a pencil sketch, then a Photoshop sketch and drawings. · Designing a solid-state 3D model. To create a unique object, you need the most accurate description, which takes into account the requirements for quality, materials, and functionality of the bath. It is desirable to convey in detail the vision of the future bathroom, its dimensions, essential characteristics, and distinctive features. The availability of drawings or photographs speeds up the work of the designer, but this is not an obligatory requirement. The sketches, pictures or drawings of a similar project can alleviate the task. You do not have to copy an existing object. 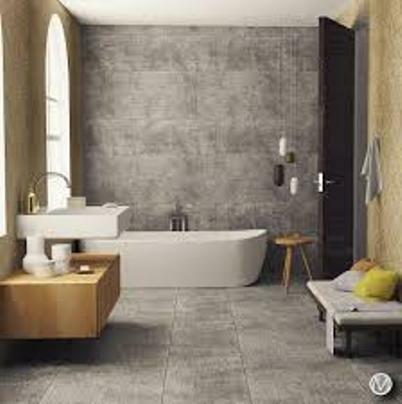 It is enough to take it as a basis, change the shape, color or add another texture of the surface, bring in details and features that will make the design of the bath unique. In the world design trends, unique baths are complemented by original bathtub faucets. In the fashion clear short lines, simplicity and functionality without extra pretentiousness and decor. Visualization of the bathroom allows you to visually evaluate the future interior, taking into account all the details, fittings, furnishings and solutions for their placement. Bold, innovative models may require a non-standard approach to the layout and design of the bathroom. 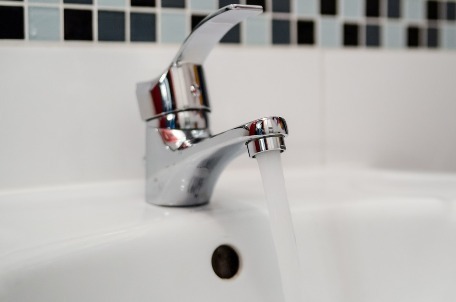 Baths, washbasins, and faucets have not lost their functional purpose, but their forms and stylistic solutions are not limited to the same type of models. 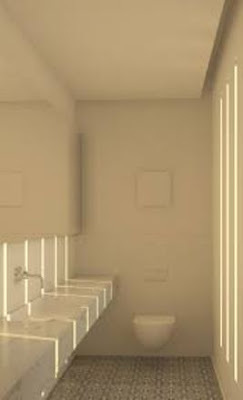 The answer depends on the wishes of the customer and the author's imagination, but any design ideas can be realized by modeling the bathroom in 3D. Style solutions, which are now in fashion - simple in form and design, consistent with the spirit of minimalism. 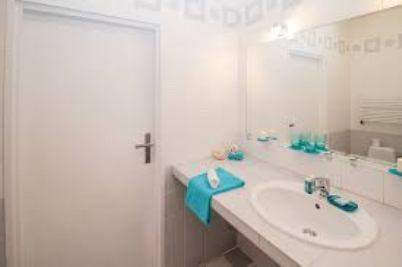 But this does not reduce their originality and ability to fit perfectly into the interior. When the customer approves the design of the product, the designer starts to implement it in 3D-models. He creates a prototype on its basis. Then it passes the testing. If it was successful, then the prototype is launched into serial or piece production.